I feel so privileged to have been able to see this sunrise. 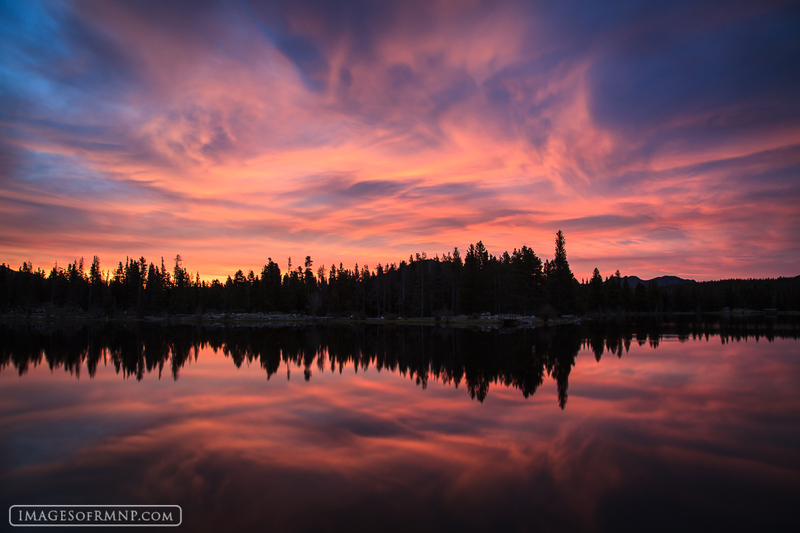 It was one of the most beautiful I've seen as the clouds took on the warm colors of the rising sun and reflected on the still waters of Sprague Lake. The movement of the clouds almost seemed like a dance in the sky as I nearly danced with joy below. It was an amazing and dramatic morning that I may never forget. Photo © copyright by Erik Stensland.